Food, Nutrition, and Fitness Info and Advice from an Allergic-to-Everything Health Nut! Welcome to my blog! My name is Isabel, and I'm currently a student at Tufts University's Friedman School of Nutrition Science and Policy, attaining a Masters of Science in Nutrition Communications. I'm also an avid health-nut who is allergic to absolutely everything- wheat, soy, corn, dairy, and eggs, and who loves to work out! I am currently in school learning how to better communicate to the public why and how they can become healthier and happier. So hopefully you can learn something too! Anything that you want to see on my blog or any questions you have please leave me questions and I will do my best to answer! I'm just getting going, but I soon hope to post recipes, fun fitness tips, and other exciting nutrition and fitness tips! enjoy! 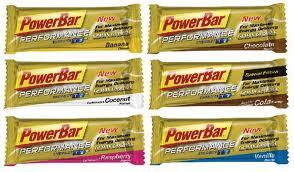 In a recent conversation, a male athlete asked me what I thought about basic PowerBars. He asked me, are they healthy? Do they have too many chemicals? Should I be eating them? I didn’t have the answer I wanted to give him so I did some research- here’s what I found! PowerBar has many different products, but his question related to the Basic bar, which is now called PowerBar Performance. These are the new and improved version of the basic PowerBar. They contain a patented C2Max carbohydrate blend, listed as the first ingredient (universally, the first ingredient is the ingredient that is in the highest quantity in the product). It’s a basic blend of glucose and fructose- two basic sugars that the body can use easily. PowerBar has created this blend because it has been found that fructose can be taken up by the cells more quickly than glucose, and they get turned into the same basic fuel, called ATP. So why is this bar good? This product provides more readily available carbohydrates that your muscles can use for immediate energy. Because its lower in fat and fiber, this bar will be digested more quickly and will be able to be used for quick energy. 240 calories, 3-4 g of fat, 44-45 g carbohydrates, and 1-2 g of fiber, and about 15% of the daily value for calcium (daily value is 1000-1200 mg/day so this is about 200 mg)- a mineral that’s good for exercising muscles. This product is great for athletes that need quick and readily available energy. The “chemical”- (as he referred to it) level in this product is relatively low. This product is for an athlete (or an avid-exerciser) who is going to need extra energy for a race or a long exercise bout. Because of its readily available energy source, people who are looking for a snack between meals should look to a product that is higher in fiber and lower in sugar, because they simply don't need this type of energy. The male athlete who asked me this question works out 2 to 3 hours per day and is in need of a a lot of calories and energy to power him through his workouts, this product is exactly for this demographic. Don't think you fit this demographic but you still want a good energy bar? Keep reading! Because snacks for the non-athlete don’t need to provide tons of readily available carbohydrates or sugar a lower calorie, higher fiber option is better. If you’re an avid PowerBar person here’s a good option. This bar comes in a variety of flavors and is lower in calories (130 calories), fat (2.5 grams), sugar (10 grams), still maintains protein- 5 g; it is made up of oats, simple sugars, nonfat milk, fiber, almond and peanut butter. Why is this one good? It has fewer calories, is lower in fat and sugar, but will still provide you with energy. It has fiber and protein which will help you stay full. If you love the PowerBar product and aren’t looking for a big energy boost, this is a good choice. What should you look for in a bar that you’re eating for a snack if you’re a non-athlete? Try to maintain between 130-200 calories. Try to pick a bar that contains at least 2 grams of fiber, and has some fat- both of these things will help to keep you satisfied and full of energy. Try to find a bar that is lower in sugar- lower than 15 grams- this will help to keep your blood sugar levels more steady, which will help to keep you from having a blood sugar spike causing you to feel hungrier faster. Because PowerBars can’t be eaten by people with crazy allergies (like me! ), there are great alternatives, and here's my favorite! KIND: Healthy Snacks are wheat and gluten-free, and are mostly made up of fruit and nuts, and some have other added benefits! My absolute favorite, that’s easy to find! (I often buy them at Starbucks, but they can be found at a lot of other grocery stores, thats the best thing about this product, they’re sold a lot of places!). - This bar has 3 g of fiber, is wheat free (great for me! ), has antioxidants- basically just means that there are vitamins A, C, and E- E naturally is in almonds anyway! - 190 calories, 12 grams of sugar *this is a little high, i eat it before I work out*, 3 g of protein, and 3 g of fiber. - This yummy bar has nuts (sorry if you’re allergic!) and cranberries, and has a simple glucose source to give you some energy before working out, but it doesn’t give you a huge whack of sugar and doesn’t have a ton of calories (below 200). ** note: don’t be scared of the higher fat content of these bars, it’s because of the nuts they contain- it’s healthy fat! 2. Almond and Cashew + Flax (Omega 3); this one has 50% of your daily B vitamins, 4 g of fiber and some healthy Omega 3’s! Also, 180 calories, 13 g of sugar, and 4 g of protein- I really love this one but its harder to find. 3. Blueberry Pecan + Fiber; this one has a lot of fiber, 5 grams- GREAT! 180 calories, 12 g of sugar, and 3 g of fiber. This one doesn’t really have any vitamins or minerals but it has a great amount of fiber. I hope this answers your question about PowerBars, and provides everyone else with some helpful snacks to help power through the day! Some great Nutrition, Food, and Fitness sites! Sign up to follow me by email! I love to run, cook, teach zumba, dance, lift weights, go for walks, do yoga, read health books, go to the movies, try out new restaurants.